We all know the stress or anxiety we feel when studying for exams and writing them. Now think of a scenario where you sit for an exam without knowing what the subject even is. Feeling petrified yet? This feeling is similar to what most people feel when encountering or experiencing skin conditions of all sorts, while they have no knowledge of what their skin type even is. The widespread lack of knowledge of the different existing skin types and their vulnerabilities means that the general population is often left perplexed when faced with dermatological issues. “Why did I just get a pimple?” or “Didn’t I just use a moisturizer, why is my skin still dry?” are just some of the questions that trouble the minds of many. But these situations can be made a lot less scary when we take the time to study the different skin types. In general, it has been established that there are four basic skin types: Normal, Oily, Dry and Combination. With their unique characteristics, they tend to have increased chances of getting affected by certain skin diseases in particular. The few factors to consider when defining skin types are the sizes of pores, skin texture as well as hydration and oil secretion levels (1). The idealistic skin that models often sport in advertisements and movie stars flaunt on the big screen is this first type. It is known for its well-balanced property and dermatologists refer to it as “eudermic” skin (2). So if you visit your dermatologist and they use this word to describe your skin, be sure to return home content and happy. The aforementioned balance is between the dryness of the skin and the oil secreted by the sebaceous glands. An imbalance between these two factors is mainly what differentiates the skin types. As for the sizes of the pores, in a normal skin type there mostly tend to be smaller sized pores, albeit a few larger ones. However, they are more often clear of impurities and don’t cause issues. The texture of the skin is known to be smooth and even for the most part since the conditions ensure that the skin doesn’t experience any random outbreaks. Nevertheless, this doesn’t mean that the skin is completely immune to all skin conditions. On the one hand, a piece of good news to people with a normal skin type is that of the two types of influences that can cause skin conditions: internal and external, only one type can have a noticeable effect on the skin. Owing to the skin’s natural balance of moisture, sebum production and desquamation (the process of skin peeling to reveal younger skin) (3), internal influences cause little to no skin conditions. On the other hand, external influences can still cause skin issues on normal skin types. Some examples of these influences include exposure to pollution, sunlight and even the skin care products that you expose your skin to in the name of ‘skin care routines’. Due to this, normal skin types can often suffer from sun damage like hyperpigmentation and dark spots, and premature wrinkling and fine lines. Hyperpigmentation and dark spots: The constant sunlight that we make our skin endure on our everyday adventures tends to have an effect sooner than we would imagine. The harmful Ultraviolet rays emitted by the sun have the capability of permanently altering our DNA and triggering the excessive production of melanin (4). This is the chemical that gives the skin a dark color. These are just the starting stages of hyperpigmentation. Premature wrinkling and fine lines: The polluted air carries harmful free radicals, which when in contact with skin cells tends to break down a substance called collagen in our skin. Since this is the protein responsible for the skin’s elasticity, breaking it down is detrimental to the young looking skin. In this type of skin, there is a disruption in the internal balance of the skin, wherein the production of sebum from the sebaceous glands is excessive. This is something that people can relate to if they experience an oily looking skin at any given time of the day, regardless of the weather conditions. They also have larger pores, with a thicker feel to the skin. This is because of how easily the skin gets congested with the oil that gives the skin type its characteristic “shiny” look. Some of the major skin conditions that an oily skin type may encounter are acne, skin sensitivity and comedones like blackheads and whiteheads. Acne and skin sensitivity: These are caused simply by the clogging of the follicles which secrete oils. When oily skin has excessive oil, these conditions are common and have chances of spreading across the skin and becoming a regular nuisance. However, there are factors like age and hormonal changes which independently influence it. These fluctuations also increase the overall sensitivity of the skin, making redness and uneven skin tone a problem. Comedones: These are skin colored papules that are formed because of blockage. This can either be due to dirt or pigment. This happens to be the difference between whiteheads (closed) and blackheads (open) (5). It additionally causes inflammation. The culprits here are again the glands producing excessive sebum. On the contrary, one benefit for this skin type is that it helps retain the young look of the skin by delaying the aging skin conditions. The oil secretion does tend to have a silver lining after all. On the other end of the spectrum from oily skin lies the dry skin. People who feel like they never quite have on enough moisturizer suffer from the effects of this skin. There is always insufficient sebum secretion, leading to the skin feeling tight, flaking and peeling off. This opens the door to skin conditions like skin sensitivity, dehydration, premature wrinkling and fine lines. Skin sensitivity and dehydration: Dry skin often tends to lack lipids (6). These are constituents in the skin’s structure that help retains moisture. This moisture makes it look supple and fresh. Dehydration is caused due to the lack of moisture in the skin, whereas sensitivity is increased due to the lack of oils. So the redness, flaking and peeling that dry skinned people exhibit is because of dehydration. People are prone to mistaking these two phenomena. Premature wrinkling and lines: Apart from the shine it provides, oils also help maintain the elasticity of the skin. Without this, we are open to the formation of fine lines and sagging of the skin, which inevitably leads to an aged look. And this is only worsened by the aforementioned external influences. 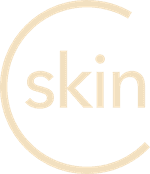 This skin type merely exhibits a combination of the above mentioned skin conditions but specifically restricted to different zones in the facial skin. The areas near the nose and chin (T Zone) are oily, leaving the cheeks (C Zone) drier. This happens to be the most common skin type which people have. However, it is also the toughest to identify on your own. It would take the experience of a dermatologist to confirm that you have combination skin type. Once understanding the basic skin types and related conditions, it is important to know that we can bring about a change in our skin. By making changes to our lifestyles and taking proper care, any skin type can be made healthier. Dermatologists recommend that a healthy diet with fresh vegetables and fruits, a brisk exercise routine and a healthier lifestyle can do wonders in combating the skin conditions, regardless of your skin type. So hurry and consult a dermatologist to select the lifestyle that suits your skin the best.